The decision comes despite a red-hot real estate market that has made apartments unaffordable. Opponents say the initiative was a bad way to set policy, and backers say they hope their efforts lead to a solution. 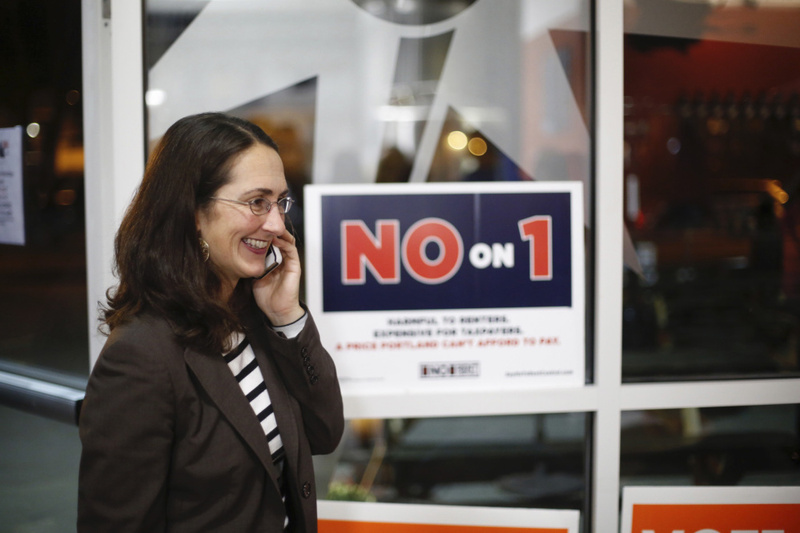 Portland voters decided overwhelmingly Tuesday not to adopt a form of rent control. With all precincts reporting Tuesday evening, Question 1 on the city ballot was defeated by a nearly two-to-one margin. According to unofficial results, the vote was 13,466 to 7,595, or 64 percent to 36 percent, against the rent stabilization ordinance. Thirty-seven percent of the city’s 56,205 registered voters turned out to cast ballots. Fair Rent Portland had mounted a citizens initiative to cap rent increases at the rate of inflation for most landlords, make it more difficult to evict tenants, and establish a rent board to oversee the city’s rental market and issue fines for ordinance violations. 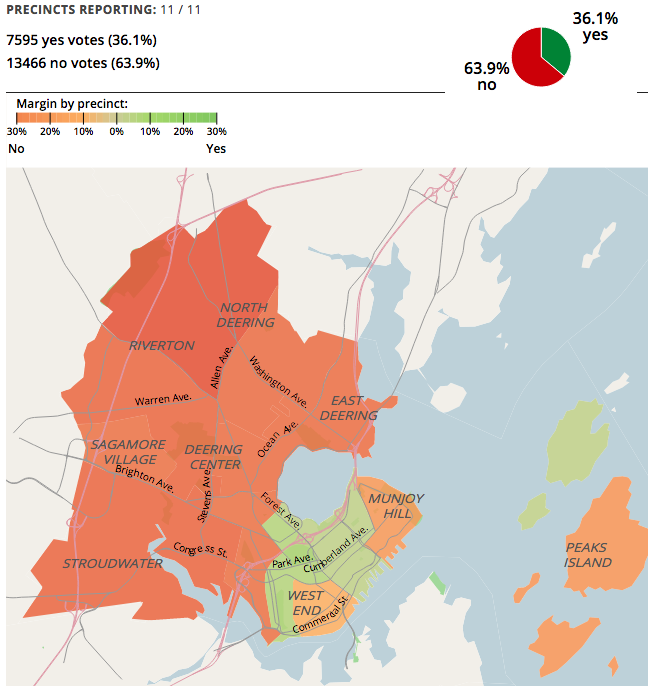 Portland would have been the only community in Maine to have some form of rent control, which has been adopted by more than 100 communities across the United States. Roughly 60 percent of the city’s 66,500 residents are renters. Brit Vitalius, a landlord and spokesman for Say No To Rent Control, said his campaign was “pleasantly surprised” that a city where so many residents are renters voted so strongly against the proposal. Fair Rent Portland said in a written statement that at a minimum its effort led to a citywide discussion about rents and the relationship between landlords and their tenants. “Having fought an all-volunteer campaign against some of the best-funded commercial interests in the state, we’re excited that as a city we are finally having a conversation about solutions that meaningfully engage the situation we face,” Fair Rent Portland organizer Jack O’Brien said shortly after the polls closed. 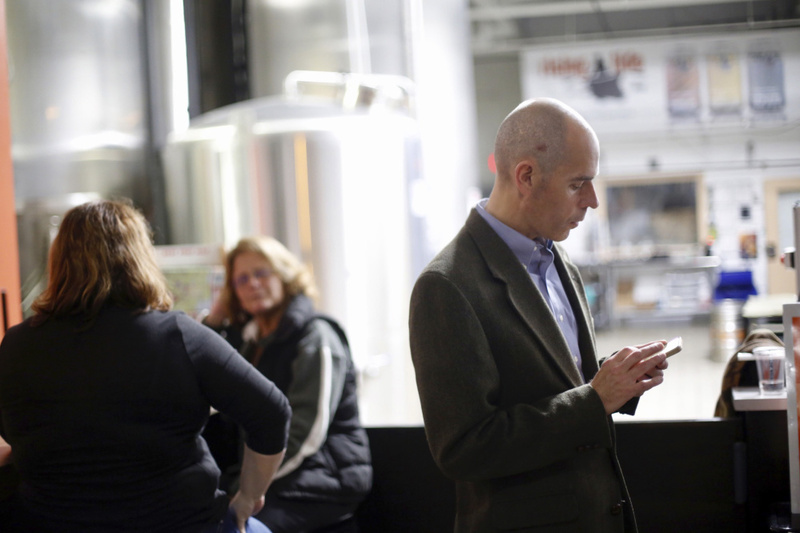 Fair Rent Portland collected more than 1,500 signatures to place its ordinance on the ballot. The proposed regulations were a response to years of steep rent increases – nearly 40 percent in a five-year period ending in 2015. Since then, however, rents appear to have leveled off as roughly 600 new, market-rate housing units have been built and more than 400 more are under construction. After a period of virtually no vacancies, apartments are becoming easier to find. City officials said in an October housing report that Portland’s vacancy rate is 3.5 percent. That may give no comfort to many renters, however, because there is still a significant gap between what many Portland renters can afford to pay for rent, typically recommended as 30 percent of income, and what they’re actually paying. The rent stabilization ordinance would have limited annual rent increases to the rate of inflation for landlords with six or more units, formed a seven-member rent board to oversee the city’s rental market and changed eviction laws to protect tenants. Landlords would have been able to petition the rent board to allow increases of up to 10 percent a year to cover any major investments in the property. The proposal would have increased rental registration fees for landlords from $35 to $65. New units built after Jan. 1, 2017, would have been exempt. Although the campaign appeared to have early grassroots support, proponents quickly ran into a well-funded opposition campaign in Say No To Rent Control, which spent more than $200,000 trying to defeat the proposal. Landlords, as well as affordable housing developers, argued that the ordinance would lead to a loss and deterioration of housing units. They also warned that some provisions in the ordinance, especially those changing eviction rules and empowering a lay board to impose fines, would violate state and local laws. However, advocates downplayed those concerns, accusing opponents of using a tired old playbook used nationally to try to defeat rent regulations. But several Portland residents worried that the proposal would lead to a decline in housing. Among them was John Kipp, a 73-year-old North Deering resident, who grew up in New York, which has rent control. Amanda Hart, a renter, also voted against annual limits on rent increases.